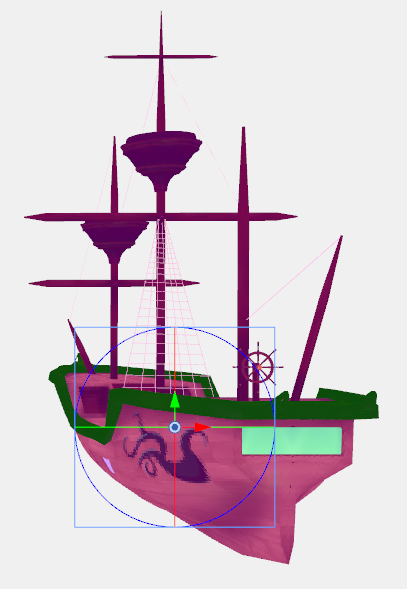 After adding 3D objects to a scene, you may want to animate a part of the object, called a sub-object. For example, the doors of a spaceship can be animated to open. 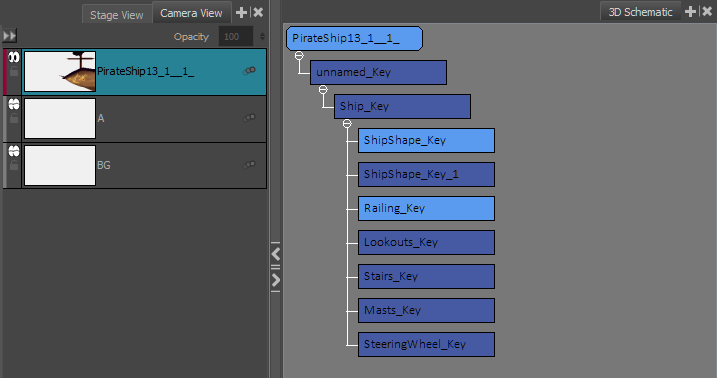 You can only select sub-objects on one layer. ‣ In the Stage view: Use the Layer Transform tool to select a sub-object. Press Ctrl to select multiple sub-objects. ‣ In the 3D Schematic view: Select one or more nodes. Right-click and select Separate Sub-Object. The layer containing the 3D objects is duplicated. In this new layer, the selected sub-objects are displayed and all others are hidden. In the original layer, the selected node(s) are hidden. The new layer is grouped with the original layer. Any transformation in the original layer is transferred to the parent group. If you selected multiple nodes to separate, all the sub-nodes are visible on the newly-created layer. 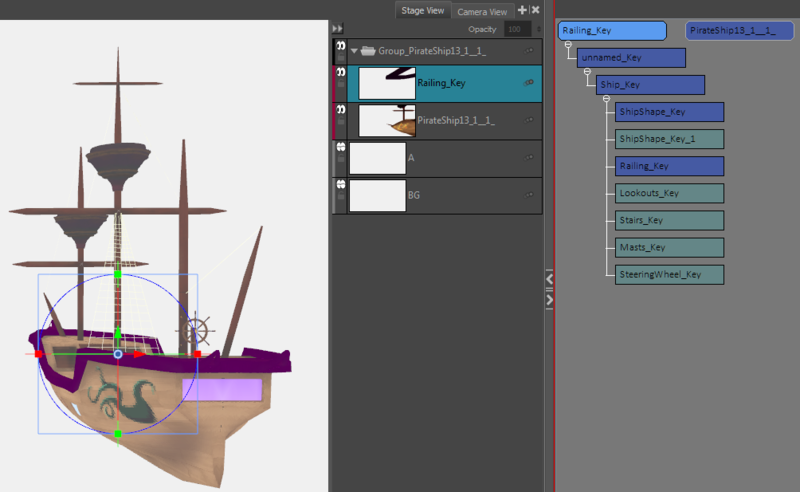 To animate the sub-objects, use the Layer Transform tool and place them in their initial state. Refer to Animating 3D Objects.